Are Designer Radiators Still Practical For British Homes? Are Designer Radiators Still Practical For Your Home? Nearly 70% of all home energy spending is eaten up by heating and cooling. If you’re using an older or inefficient system, it might be time for an upgrade. While looking through the options for replacing your system, you should consider designer radiators. Radiators use heated water forced through a network of pipes to heat a home. As the water moves through the pipes, heat radiates from the metal they’re made of, becoming a heat source for a room. A modern radiator system works similarly to an older one but is often more efficient and less prone to issues. If you’re considering installing modern radiators in your home, you’ll see your home’s efficiency and design improve greatly. Here are 4 reasons to consider a replacement. A vertical radiator design is much more space efficient than the old heavy floor-mounted designs. If you have a more compact space, you’ll find that they’re a welcome change from the clunky or noisy old radiator. A narrow radiator won’t encroach on your home’s space the way that an older radiator would. If you find something to match the style of your home, you might not notice the designer radiators are even there after a while. Because a modern radiator will be more efficient than older models were, you’ll start feeling the heat much sooner than you used to. Heat will be distributed evenly around your room. If you use an iron radiator, you’ll find that they heat a little slower but are much more durable than other materials. Aluminium radiators can be shaped into more interesting designs and tend to be more flexible. They heat up a little faster and are fairly easy to install. If practicality is on your mind, a new radiator should be seen as simply a great investment into your home. Upgrading your heating system will add to your home’s value for a decade or more. If you’ve chosen a radiator system with a great design that matches the fixtures, flooring, and accoutrements of your home, you’ll improve your home. 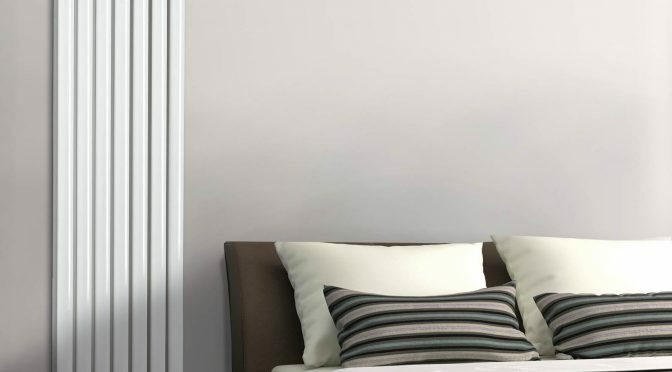 Rather than installing floor panels for a forced air system or a big iron fixture in the corner of your room, a smart wall-mounted radiator can open up space. The more you can open up your space, the more you can count real square footage in a future sale. With the wide variety of designs available for modern radiators, you’ll find something to fit any kind of home. You’ll immediately notice the difference on the next cold night. A modern radiator will heat your home more quickly and efficiently than you could have imagined. If you’re in the market for a new heating system, check out our range of designer radiators.